REFLECTION is a special performance by Lismore Symphony Orchestra with music from Ravel, Holst and Williams with the accompaniment of the Combined Catholic Schools Choir that will mark the centenary of the end of World War I. The performances, to be held at the Whitebrook Theatre at Southern Cross University on Saturday and Sunday, aim to reflect and commemorate this Sunday's centenary of the armistice that ended the war. The program in part pays tribute to the nearly 62,000 Australians who died fighting for our freedom and in service of our nation. Conducted by Ben van Kleef with an orchestral company of more than 40, the orchestra will share the stage with some of the best choral talent across the Lismore area for such numbers as Hymn To The Fallen (from the movie Saving Private Ryan) and For the Beauty Of The Earth by John Rutter. Including students from St John's College Woodlawn and Trinity Catholic College, the Combined Catholic Schools Choir has formed a relationship with the orchestra that Mr van Kleef said was guaranteed to impress. 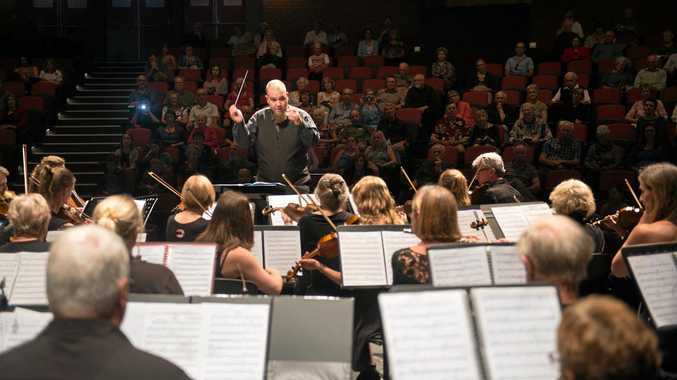 "This truly unique concert offers an opportunity to showcase both the Lismore Symphony Orchestra whilst adding another musical layer and including voice - something the LSO hasn't done before,” he said. This Saturday 7.30pm and Sunday 2pm at SCU's Whitebrook Theatre. Details at lismoresymphony.org.